Last Will is a game where players must be the first to spend some money left to them by their uncle. The first to prove they can enjoy such riches the most (fastest) will then be the sole heir to the rest of the massive inheritance. In essence, the game is an interesting mix of worker placement with elements of efficiency engine too, but there are lots of things to balance. Second, players place their 1 or 2 errand boys to gain one of the face-up cards on the board, alter house prices, gain an extra slot for a card on their player board, or spend an extra £2. First-come, first-served so player order is important here. Third, players use their actions. Most cards require actions to play. Some cards are one-use, whereas others can be played onto the player’s player board (costing an action to do so) but these can then be activated every turn. Cards played are either ways to spend money (have a party, go for a carriage ride) and the amounts spent can be enhanced with other cards (take a friend with you to dinner); however, some cards give you advantages like extra actions, extra cards, etc. Each player has a limited amount of slots on their player board for cards so players must consider what they have on their player board (and can try to gain extra slots too). Property cards are interesting – players must start with a property (and can get more). Players buy them but can not end the game if they own a property so players must still sell them later. Most properties devalue if not maintained which is a good thing, but you can lose/spend more money each turn by spending cash on them to maintain them (but this costs an action). Overall, I thoroughly enjoyed playing this game. There’re plenty of meaningful decisions to make as well as decent player interaction when trying to secure special actions with your workers. It’s critical to balance expanding your capabilities (extra player board slots for cards, gaining extra actions, gaining helpers to increase the costs of some cards) against expanding your opportunities to spend money against actually spending money. Picking the mix of workers, actions and cards is really entertaining as it’s crucial to being able to maximise your spending that round. It’s really important to have enough actions during a turn but you need cards requiring actions and opportunities to spend money to use them well too. The methods of spending money are humorous and varied, such as taking a long cruise which can be made even more expensive by taking your horse with you, or going for dinner and making it cost more by having a couple of chefs and taking a friend. Hosting a ball (a card) allows you to spend more money if you spend multiple actions. Having a party (a card) allows you to depreciate a property by several steps because of the partying damage. The game’s artwork is excellent and very fitting too. The game plays 2-5 and some elements of the game scale based on the number of players which is something I always appreciate. 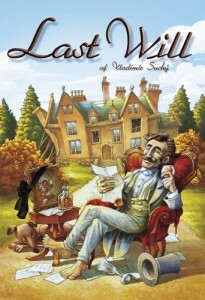 Last Will is a game that ticks the boxes for me. 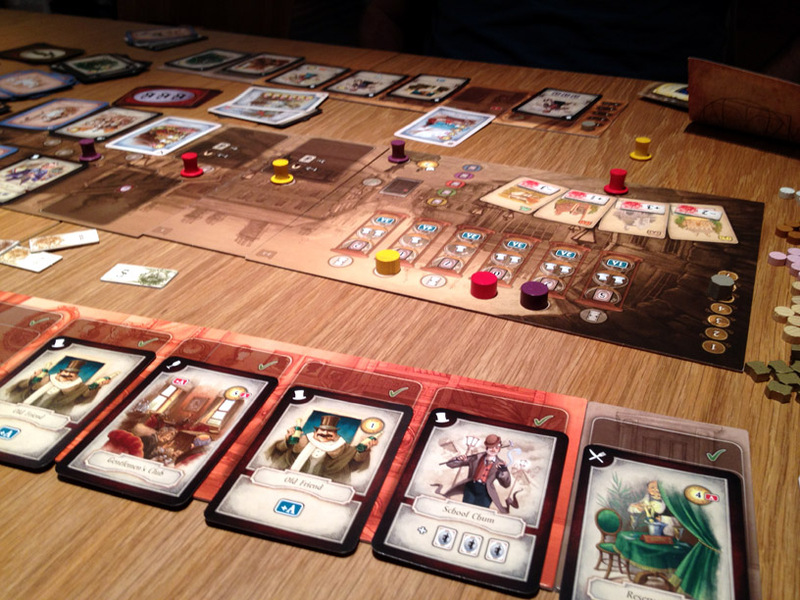 Very enjoyable with lots of choices, decisions and balances. 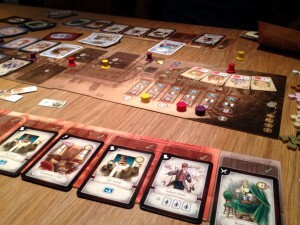 The game mechanics make it feel different to other games too, rather than just being a worker placement, or card-play, game with a unique theme. This entry was posted on Monday, October 31st, 2011 at 1:56 pm	and is filed under Board Game Review, Board Games, Essen Spiel 11, Last Will. You can follow any responses to this entry through the RSS 2.0 feed. You can leave a response, or trackback from your own site. Interesting. Brewsters Millions meets Monopoly!